The hype over January sales may be fading but now is the best time to bag some treasures! Stores don’t just put on sales for fun, in fact they are as cleverly thought through as a military operation in most chains. The initial sale items might be old stock or stuff the store hasn’t had much luck in selling. Sale reductions would be up to 50% off (we’ve all seen the signs). Once the first wave of manic bargain hunters has munched through those sales, stores are sent more unusual stock- previous season items, lesser-known labels- and these go down an extra 10-20%. By the end of January stores will have whacked on one more little red sticky label to their sale items “Final Reductions”. Here are some tips- a treasure map, if you will- to guide you to your ultimate sale experience. Try to hit the shops in busy areas on weekdays while most people are at work – no one likes to be a shop sardine. Pick up any and all items from the sale rail that interest you (even if that means grabbing a basket) in one go to avoid mind-shattering regret. Try on all the items you are considering to buy; take selfies of each outfit to remind yourself later and/or get a friend’s opinion. Maybe even Tweet or Instagram it for the ultimate verdict. If you find something you love but is a size up/down from your usual- try it anyway. Sizes differ from brand to brand so it’s worth a shot. If there are any faults on items you like, don’t be afraid to suggest extra discount at the till- any sale is a good sale in a retailer’s eyes. Imagine all the items you like in your wardrobe, how many times would you wear them? Do you have anything very similar already? Even sale items can be a waste of cash if you only wear them once. 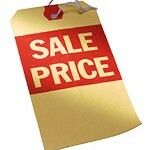 Check online prices in case the items you like are cheaper there. Make sure you count the P&P charge too. And still try the items on in-store so you know which size is best. Although you can use social media to gauge how certain outfits might be received by friends, make sure the final decision is yours. It’s your style so do what you think is right. Some stores have different sale items in each branch so it could be beneficial to visit a couple of branches of your favourite stores just to see what they have. Looking for a new look? Check out personal-stylist.co.uk for an award winning style consultancy.